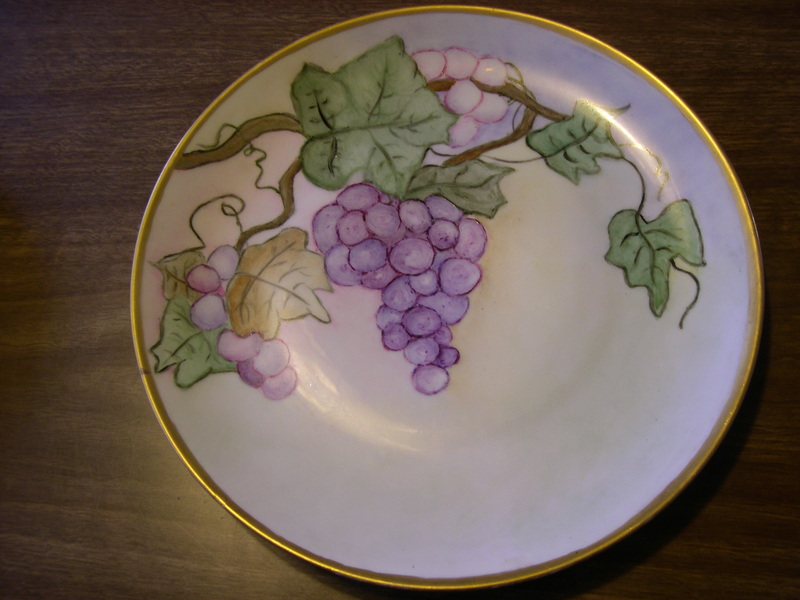 Your mother and my grandmother would have had a fine time at the china painting table. Some of your mother’s work looks much like my grandmother’s. They both had a fine hand. Knitting, crocheting, quilting and china painting were some of my grandmother’s hobbies as well. And getting up early to have all chores done by mid- to late-morning was her habit, too. Sorry to have been so absent these last couple of weeks. Life intruded. Good morning Judith! It is so good to see you and have your comments. There’s fresh tea, so I’ll just pour one for you. I do appreciate your visits, and missed you. Mustn’t let life intrude too much! For the china painting there were designs to be traced on to the china, so I’m sure there would be a similarity in our mom’s work. 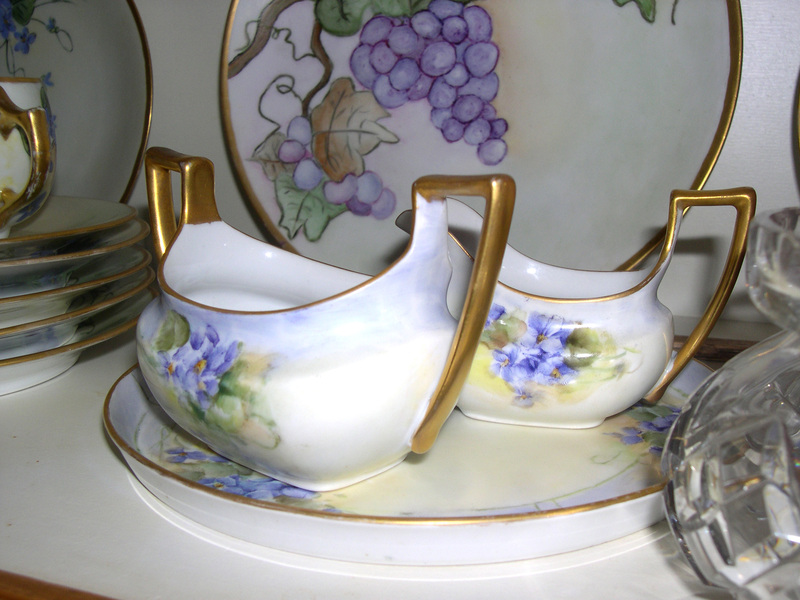 I loved your mom’s grape plate — and the creamer and sugar — and… Oh, my! Too bad that carrot cake is in Nova Scotia, Judith. We could have shared it with your husband as well. 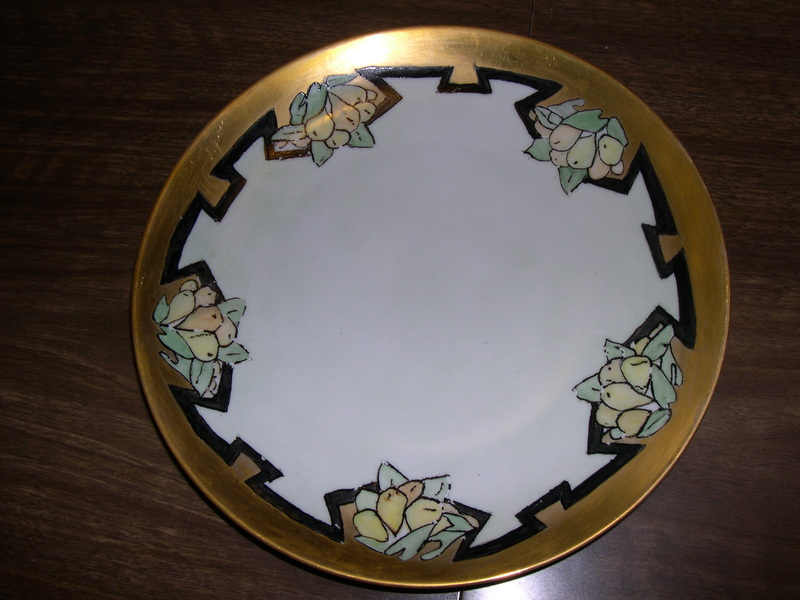 I have those pieces of china… and to think that they were hand painted about 1927 to 1929. 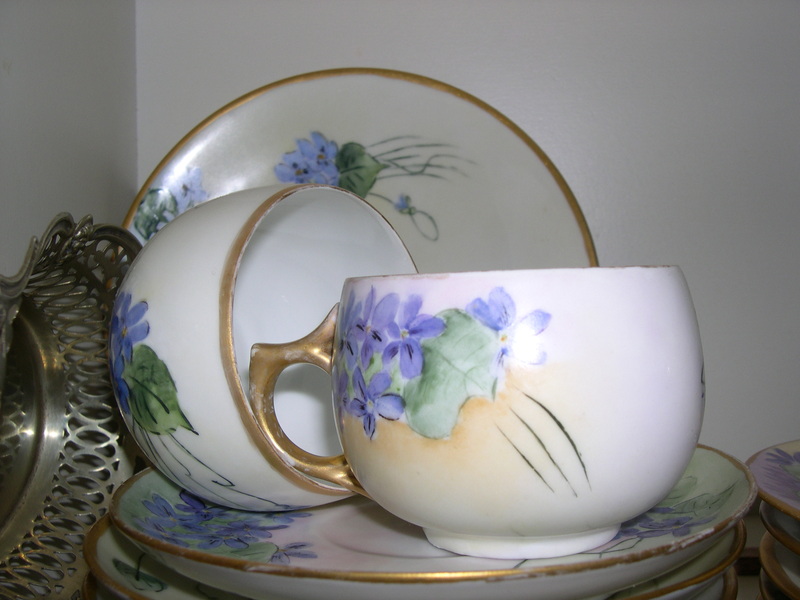 I used them for special occasions when I had them in my china cabinet, but now I can’t reach them. It’s sad that they are “out of sight”. Thanks for coming back! Laundry sure sounded like so much work compared to the automatic machines today. Have a wonderful day Norma! keep shining my friend! Welcome, Dianne! The tea is ready, but no carrot cake like Phil is offering! I really appreciate your visits and comments, Dianne. It certainly was a different way of living, and my mom would be 53 when she left city living to the wilds of the Cariboo… but she never complained. That is a very valuable ability in the lumber world. I worked with a man who was very good at estimating the board footage in a load of logs – he owned a mill that I ended up working at. For anyone that does not know – a board foot of lumber is 12”x12”x1” thick (I work as an estimator). I wish I could take tea with you this morning in real time – I even brought some carrot cake to work and I would share it too .. if you like carrot cake. Have a great day Norma!! Love carrot cake! Wouldn’t that be something if you could visit out here! They have two suites in our building that are available for family visits at a cheaper rent… how about it? 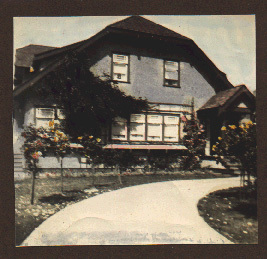 When mom and dad lived on Vancouver Island I used to go over on weekends. Dad was tallyman for a lumber mill. I used to help him by checking all the board feet! A long time ago! When purchasing a boom of logs, dad’s ability was very useful! The dishes are so pretty. I love the shapes of the bowls with handles! Wonderful story. Such hardy people. Loved the visit today. Good morning Heather! So glad to see you and your comment. I poured a cup of tea for you. Too bad we can’t share Phil’s carrot cake!, but he’s in Nova Scotia! Those little bowls with handles are a cream and sugar set! The stock market crash really did change a lot of people’s lifestyles. What a huge adjustment it must have been to go from city to country living. Your mother must have taken her beautiful dishes with her if you acquired them. Such treasures! Good morning Carol. You”r just in time for a fresh cup of tea. Thanks for coming and for your comment. I was always sorry that my parents lost their money and they had to “get by”… but… for my self.. I was almost glad. Dad didn’t think we should work. My sister trained to be his stenographer… but that left me. Because of the crash, I learned how to make a living for myself, and how to survive hardships. Some of the young people of today would have a difficult time… maybe not, but I think they have had such a soft life in comparison to “back then” that it would be harder for them. I am enjoying reading your blog. I am learning so much about my family that I did not know. Thank you so much for doing this. My dear Daria, What a nice surprise to find you visiting… did you pour a cup of tea for yourself? How I wish it was for real. It’s surprising what I can dig out from my memories, isn’t it! I’m glad that you are learning more about your great grandparents, and the rest of us. I spend quite a bit of time going through the old photos so that I can show what some of our family life was/is about. Thanks for letting me know that it is of interest to you.